Document management and office organization are critical for every new or used car dealership. 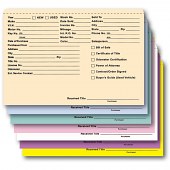 Keep track of sales contracts and vendor invoices by using these file folder jackets and self-inking stamps especially designed for auto dealerships. The filing supplies and accessories Esatmpe sells include: Custom File Jacket Folders, Accounts Payable File Folder Jackets, Car Deal Jackets, ERA® Vehicle Deal Jacket ... and much more. 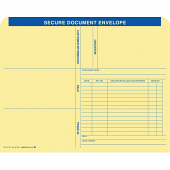 The Accounts Payable Voucher Envelope - 1" Expandable Jacket for auto dealerships is excellent for keeping organized. 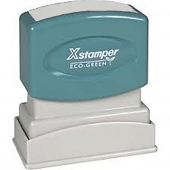 Use these envelopes to keep all your invoices, statements and receipts in one convenient location. This jacket holds 3-4 times as many documents as our standard envelopes. This 11-point Heavy-Duty Deal Jacket expands up to 1" to allow for extra paper work or additional items.